Welcome to the second Tuesday of the month. 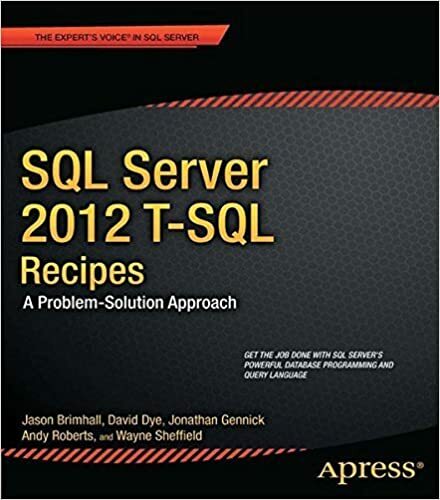 And in the database world of SQL Server and the SQL Server community, that means it is time for TSQL2SDAY. This month the host is Sebastian Meine (blog / twitter), and the topic that he wants us to write about is: “Strategies for managing an enterprise”. Specifically, Sebastian has requested that everybody contribute articles about auditing. Auditing doesn’t have to be just “another boring topic”, rather it can be interesting and there is a lot to auditing. For me, just like I did last month, I will be just doing a real quick entry. I have been more focused on my 60 Days of Extended Events series and was looking for something that might tie into both really well that won’t necessarily be covered in the series. Since I have auditing scheduled for later in the series, I was hoping to find something that meets both the XE topic and the topic of Auditing. No matter the mechanism used to capture the data to fulfill the “investigation” phase of the audit, if the data is not analyzed and reports generated, then the audit did not happen. With that in mind, I settled on a quick intro in how to get the audit data in order to generate reports. An audit can cover just about any concept, phase, action within a database. If you want to monitor and track performance and decide to store various performance metrics, that is an audit for all intents and purposes. If you are more interested in tracking the access patterns and sources of the sa login, the trapping and storing of that data would also be an audit. The data is different between the two, but the base concept boils down to the same thing. Data concerning the operations or interactions within the system is being trapped and recorded somewhere. That said, it would be an incomplete audit if all that is done is to trap the data. If the data is never reviewed, how can one be certain the requirements are being met for that particular data trapping exercise? In other words, unless the data is analysed and some sort of report is generated from the exercise it is pretty fruitless and just a waste of resources. There is a plenitude of means to capture data to create an audit. Some of those means were mentioned on Sebastian’s invite to the blog party. I want to focus on just two of those means because of how closely they are related – SQL Server Audits and Extended Events. And as I previously stated, I really only want to get into the how behind getting to the audit data. Once the data is able to be retrieved, then generating a report is only bound by the imagination of the intended consumer of the report. Audits from within SQL Server was a feature introduced at the same time as Extended Events (with SQL Server 2008). In addition to being released at the same time, some of the metadata is recorded with the XEvents metadata. Even some of the terminology is the same. When looking deep down into it, one can even find all of the targets for Audits listed within the XEvents objects. That doesn’t look terribly different from what we have seen with XEvents thus far. Well, except for the addition of the Security and Application Event Logs. But the Target concept is well within reason and what we have become accustomed to seeing. If the audit data is being written out to one of the event logs, it would be reasonable to expect that one knows how to find and read them. The focus today will be on the file target. I’m going to focus strictly on that with some very basic examples here. I happen to have an Audit running on my SQL Server instance currently. I am not going to dive into how to create the audit. Suffice it to say the audit name in this case is “TSQLTuesday_Audit”. This audit is being written out to a file with rollover. In order for me to access the data in the audit file(s), I need to employ the use of a function (which is strikingly similar to the function used to read XE file targets) called fn_get_audit_file. The name is very simple and task oriented – making it pretty easy to remember. Using the audit I mentioned and this function, I would get a query such as the following to read that data. Oh, and the audit in question is set to track the LOGIN_CHANGE_PASSWORD_GROUP event. 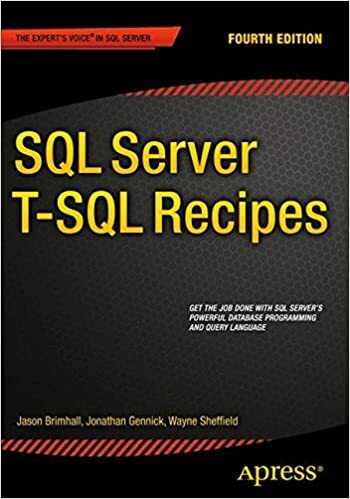 There are some tweaks that can be made to this, but I will defer to the 60 day XE series where I cover some of the tweaks that could/should be made to the basic form of the query when reading event files / audit files. Well, truth be told, this one is a bit of trickery. Just as I mentioned in the preceding paragraph, I am going to defer to the 60 day series. In that series I cover in detail how to read the data from the XE file target. Suffice it to say, the method for reading the XE file target is very similar to the one just shown for reading an Audit file. In the case of XEvents, the function name is sys.fn_xe_file_target_read_file. Capturing data to track performance, access patterns, policy adherence, or other processes is insufficient for an audit by itself. No audit is complete unless data analysis and reporting is attached to the audit. In this article, I introduced how to get to this data which will lead you down the path to creating fantastic reports.